The club can now offer members and visitors a good range of clothing incorporating the club logo. Either printed or embroidered designs can be chosen, simply click on the "SHOP" tab on the navigation menu to browse through the selection. It is with sadness that I report the death of our former Chairman, Mr Graham Morgan. Graham served on the Committee for many years and was Chairman during the very difficult period in the late 1990's and early 2000's which involved claims against our fishing rights. He was an active members of the Association attending clean ups, annual trips and AGMs until recently. Graham was 63 and lived in Ogmore Vale, his son, Jason is a member of the Association. The Association extends its condolences to Graham's family at this difficult time. From Gerwyn Stoneham, membership sec. "All members will be contacted during Jan/Feb 2013 with instructions as to how to renew their 2013 Permits. Catch Returns must NOT be sent in until then". This does not apply to your EA return which should be sent in ASAP. Club sec Wynne Griiffiths and conservation officer Colin Chaman met Mr. Ed Bennett, Network Pollution Engineer, Dŵr Cymru/ Welsh Waterand his workmate Jeff to discuss the ongoing pollution from the CSO at Blackmill - see report. This CSO regularly discharges raw sewage directly into the Ogmore often days after floods have subsided creating a health hazard and a corrupted water course, it's completely unacceptable. I naively thought that a complaint would sort the problem out, it soon became clear that it isn't that easy. The volume of water which enters the drainage system in heavy rain is too much for the drains to cope with. A massive underground tank just below Blackmill cannot cope with the quantities and neither can the sewers. Something has to give and the CSO is the escape valve. The "solids" are screened, rags etc. are mercifully captured before hitting the river but make no mistake if you're wading the river below Blackmill after a flood you'll be wading in dilute human excrement. Nice eh? So what's happening you may ask.... Well, Dŵr Cymru are currently starting a programme to seperate the rainwater from the foul water system to reduce flow volumes in the sewers. Surface drains will feed directly into the river and the problem should diminish however it does inevitably raise further questions as the river will no doubt become more flashy as a consequence and carry more diffuse pollution from the land. The situation is far from ideal and the club are stuck with a poluting sewer in its river but at least we can thank Ed and Jeff for fully explaining the issue to us. What can be done to alleviate this situation is the question, the committee will look at several options and report progress. The brook which joins the Ewenny by the dog kennels opposite the Waterton Industrial Estate was carrying a film of oil last week. I phoned in the incident on the EA Hotline and received a call back from the local Environmental Management team who promptly came out to find the source, I stopped fishing and tried to help with the search. I was the second person to phone in, the pollution had been noticed the evening before. Unfortunately it became obvious that this wasn't going to be an easy job, the brook is channeled through a tunnel which runs beneath Bridgend industrial Estate for several hundred yards and receives ground water drainage from a large area on the estate. In the end the search proved to be futile, thin oil films are very difficult to detect from lifted hatches and the search was abandoned. Some interesting facts emerged though, despite the grim nature of the brook - the banks are formed from paving slabs - it does support a population of trout and although it's categorised as Failing in terms of the Water Framework Directive the failure is attributable to diatoms rather than chemistry, fish or invertebrates. Please keep an eye open at this point of the Ewenny if you're out fishing for grayling or taking a walk, phoning pollution incidents in prompts an investigation, if the brook continues to be problematic it will receive more attention but only if club members are vigilant and prpared to spend a few minutes on the phone. It was really sad to stand hidden by the branches of the huge old willow tree where the brook meets the Ewenny to see the grayling rising not six feet away taking blue winged olives, pale wateries and large dark olives through the oil film, each fly they took was accompanied by a gulp of the pollutant, as distressing a sight as a sea bird covered in oil and a poignant reminder of how fragile our rivers are. Dave Lewis has kindly supplied the list of Ogmore Angling Fly Tying Club's "flies to tie" for the season 2012/2013. The table below gives the dates on which the patterns are to be tied, the names of the demonstrators and the patterns. To add to this very creditable list of events the club has arranged for a fly tying materials and fly supply company to visit Bridgend on 10th December at 19.00 hrs at the Cons Club, Dunraven Place, all welcome. Isn't he cute! Well.... no, in fact this non native invasive species is the opposite; it's a vicious predator that has destroyed swathes of our native wildlife. We’ve recently experienced a mink population boom along the Ogmore catchment and in response to the numerous reports received about them OAA have begun to remove mink from the river with the support of EAW. Nature lovers and OAA members will be delighted to hear that we have had some success in reducing the numbers of these pests. Once the mink population diminishes our threatened riparian wildlife will begin to repopulate the catchment and enrich the local community's experience of walking the river again. Iconic species which have suffered badly from the unchecked spread of mink include water voles in particular as well as ducks, coots, moorhen, kingfishers, amphibians and of course our wild brown trout, so, despite our misgivings with regard to any cull, we feel that this measure has great potential for improving the riparian environment. Our legacy of 45 weirs along four and a half miles of water in and around Bridgend translates to 44 ponds in low flows. Mink quickly exploit these conditions but their impact falls selectively on native fish in the 20cm and under range, this non-native invasive species is destroying the wild Welsh brown trout we’re so passionate about. Many thanks to those concerned in their removal, we hope this work will bring about a corresponding boom in the species we want to see around us. Be aware of the lack of environmental credentials exhibited in the programmes which they've previously made LINK and if you do decide to participate rememember to think twice before saying something on camera which may be used out of context. Now we're off the river perhaps it's time for some educational input to while away the long evenings. Eventually a page will be put together on the subject of stocking to create an informed debate on this hottest of hot potatos but just to start the ball rolling here are a few links. Some don't like it hot - fish likely to become smaller and move northwards. I had hoped to create a colour chart to establish a reference for club members showing what would be regarded as a takeable fish and what should be returned but it soon became clear that "one man's keeper's another man's kipper". Seeking guidance from the Environment Agency I enquired which colour criteria they used to define an unseasonable fish and just out of curiosity requested how many people had been prosecuted for the offence of keeping one. Thank you for enquiry which was received on 24/08/2012. Requests for information that is recorded are generally governed by the Freedom of Information Act 2000 (FOIA).The information you have requested is environmental and it is therefore exempted from the provisions of FOIA by FOIA s.39(1). We have therefore considered your request under the provisions of the Environmental Information Regulations 2004 (EIR). I attach the prosecution data provided by our fisheries team. The spreadsheet gives information on how many rod & line prosecutions have been made in England and Wales over the last ten years against anglers who have taken unseasonable/coloured migratory fish. I have done as Colin requested and added a table at the bottom of the spreadsheet with the figures for each year. There have been no prosecutions since 2009. The table below shows the number of non-rod and line prosecutions per year under s.2(2) of the Salmon and Freshwater Fisheries Act 1975. These are prosecutions for taking, injuring, buying or selling, or attempting to do these things, in respect of unclean fish. The usual test for this is whether the fish is freely shedding eggs or milt, or does so with minimum pressure applied to the abdomen – if the fish is held vertically (tail pointing downwards), the force of gravity is usually sufficient. So, in answer to Mr Chapman, it is illegal to take a fish that is about to spawn, or has recently spawned and has not recovered from spawning, not necessarily one that is coloured. Unclean fish would usually, but not always, be caught out of season." This is a large file, if you live to the west of Swansea put the kettle on and have a cup of tea while it loads. The guide is quite clear and the committee would like to remind members that taking unseasonable fish is prohibited by club byelaws. Take note of the table above which shows the Ogmore as likely to be classified as "Probably at risk" by 2016. We're currently on the threshold of receiving a ten year ban on taking fish, this measure's already been imposed on our neighbouring rivers, the Taff, Ely and Wye and the River Ogmore's in the firing line for a dose of the same medicine. Unless members change their attitude to migratory fish and see them as a sporting quarry rather than a meal then the decline will continue and the choice we're currently privileged to exercise will be withdrawn from us by new byelaws. None of want our fish stocks to decline to that level but if we don't continue to improve our creditable release rate and increase the number of fish on the redds it's obvious that this decline will continue. As a committee charged with managing the river we take this problem very seriously and consequently new measures will be introduced by the next season to address the issue. ALL SEWIN BELOW 17 INCHES (43 cm) IN LENGTH AND ABOVE 22 INCHES (56 cm) IN LENGTH MUST BE RETURNED DEAD OR ALIVE. ALL SALMON ABOVE 26 INCHES (66 cm) IN LENGTH MUST BE RETURNED DEAD OR ALIVE. These lengths translate roughly to sewin below 2lbs and above 5lbs having to be returned and for salmon of above 8 lbs to be returned. By introducing upper slot sizes the number of large fish returning to the redds will be increased, these fish dig deeper redds which counteracts some of the negative effects of climate change such as severe flooding and they will certainly deposit larger quantities of eggs. Sea trout and salmon carry eggs in direct proportion to their weight, sea trout carry 800 eggs for each pound weight and salmon carry between 450-700. The lower slot size for sewin enables them fish to spawn once, an absoloutely obvious common sense measure. This is the club's last chance to put matters right for migratory fish before the Environment Agency, quite rightly, compels us to. We have a huge responsibility to conserve these fish for future generations and if we fail to deal with the current decline we'll have done our children and the river a great disservice. A big vote of thanks to Mark Ryan for his hard work which has resulted in enough sewin being transported to Llyn Y Fan hatchery to produce over 40,000 eggs. We now have enough material for the broodstock programme and require no more fish so please return all sewin immediately and cause them as little stress as humanly possible. That's all folks, salmon and sewin licence holders only from 1st to 17th October and NO WORMING ALLOWED. October came around pretty quickly again, still, not long till March 2013, just five months to go. Just a week away from the equinox now and the subsequent descent into the hell of evenings illuminated (allegedly) by energy saving light bulbs. Rather than throwing darts at the picture of the genius who created these useless articles - you won't see it after 5pm anyway - why not leave the cave behind and bask in the daylight bulbs of the fly tying group. Classes start at 7pm and commence on Monday, 29th October in the Con Club, Dunraven Place, Bridgend. The classes will continue on a regular basis each Monday evening right through the winter. All ranges of ability are welcome, from beginners to experts and the classes are open to anyone who'd like to learn or improve their fly tying - including non club members. Here to stay aparrently and a massive threat to the ecosystems of Welsh stillwaters and estuaries. Grafham is crawling with the things and Eglwys Nunnyd and Cardiff Bay are alive with them. This disaster exhibits all of the characteristics shared by balsam and knotweed which as we know are virtually omnipresent. Decisive action has not been taken and a craven approach to this latest invasive species guarantees it's success. Had quarantines been introduced to the original host waters perhaps a solution could have been found but as per usual short termism prevails and now the boats which seem to be the most potent vector for the shrimp have carried the creature to the Norfolk Broads where it will undoubtedly thrive in a huge expanse of water. While yachts may carry this species to stillwaters and larger rivers our local rivers - particularly the slow muddy lower reaches of the Ewenny - still face a massive threat from canoes whichreadily carry the water from contaminated areas to our water. Of course the other threat is anglers whose equipment has not been adequately dried - an effective way to kill Dikerogammarus villosus. It's a terrible situation and I fear that watching the sedges taking off from the surface of the lower reaches of the Ewenny, as I did the other evening, will eventually become a thing of the past when just one thoughtless idiot fails to take the necessary precautions after visiting a neighbouring water. Please don't be that person. We're cleaning the upper Ogmore this time, please make an effort to attend the clean up around Blackmill. We'll meet in the square at Blackmill at 9.00am for refreshments, the work commences at 9.30 am. All members and friends very welcome. PUT A FEW HOURS IN TO MAKE YOURE RIVER A BETTER PLACE FOR EVERYONE. Work's begun on the gauging weir at Brynmenyn, expect some discolouration in the river downstream during working hours. Anything causing discolouration above there's worth reporting. Yes, once again the club in partnership with SEACAMS is offering members a free trip to Llys Y Fran as part of our continuing efforts to research best practice in releasing fish and achieving a consequent reduction in the exploitation of the Ogmore's migratory and resident fish stocks. It's the same amazing deal as before, free transport, a free ticket to fish Llys Y Fran, a specially extended bag limit of 8 fish and big cash prizes. To book a place contact web@ogmoreangling.com giving your name address and membership number. Text or phoning is OK but I'd prefer email contact, my phone number's on the forum under Catch Returns 2012 and in the last mail shot about the trip. Pick up points : See map above, Embassy car park, 6.45 a.m., Sarn Services coach park at 7.00 a.m.ish. The map's had over 1,500 views to date which is a bit of a surprise as only 40 people went on the trip, leading me to wonder whether there're a lot of people out there with far too much time on their hands or if OAA members have particularly poor memories. So, having investigated the different hooking characteristics of J hooks versus circle hooks for flies on the previous occasion this trip is designed to investigate the differences between the two designs of hook for worming. Ewenny Angling supply this breed of worm, make sure you order enough to last you the day. The rules at Llys Y Fran allow legering of worms only, no float fishing is allowed, bring a supply of non toxic weights. Pop-up baits are allowed, those polystyrene ball things are used by the regular anglers. Bring fishing tackle in general, drink, food, warm/waterproof clothing, maybe a spare sweater for unplanned swimming events a bag for your fish.....obvious stuff really. The last trip was accompanied by the most foul weather, waterproof trousers/waders is essential as I found to my cost. Remember Sarn Services don't allow more than 2 hours parking, don't spoil your day by being stung with a fine. Anyone failing to turn up will be required to pay a £25.00 surcharge on next year's fees. Anyone found cheating, e.g. giving fish to friends to claim as theirs to gain a prize, frozen fish merchants, mepps users, lead weight inserters, snaggers, Power Baiters, groundbaiters and masters of the dark arts etc. etc. will be disqualified and required to appear before the committee's firing squad, as will anyone who chooses to make themselves a pain in the neck on the day. Unbelievable as it may seem a few members left litter behind them on the last trip, any further behaviour of this kind will not be tolerated. "The Working Together Consultation is the first step in planning for the second cycle (2016-2021) of River Basin Management Plans under the Water Framework Directive. The consultation provides an opportunity for stakeholders to influence how we work together to deliver WFD objectives. The Environment Agency Wales is keen to involve the wider community in creating and developing better ways of working together. For information on how to get involved in the consultation contact Ceri Jones and visit the consultation website . Kyle A. Young, Advisor, Water Framework Directive"
The River Ogmore is in the Western Wales River Basin region. The Basin Management Plan can be viewed here. Do let the club know if you responded. 4.7 Sea Trout (Sewin) caught after the 31st August must be returned to the river. 4.4 All unseasonable fish must be returned the water dead or alive. The committee have discussed this matter recently and a guide to what we consider tbe a coloured or unseasonable fish will be published on the web site in due course. Members are reminded that colour alone is not a totally reliable indicator of whether a fish is unseasonable, use your sporting judgement whether a fish is coloured or not, if in any doubt do the right thing and return the fish and let it spawn. Any fish spilling eggs or milt should not leave the water at all, they will breed imminently, release them immediately. Inexperienced anglers in particular should do a lttle research into the matter, killing a fish that is just about to spawn is different to killing a fresh arrival, 1) they are not good eating, so why kill them and secondly they have a very good chance of spawning successfully, there's little chance of them being recaptured or killed by predators, the odds are in their favour so do the right thing and let them fulfil their breeding potential. Anyone found with a sewin after the end of August or a coloured fish should realise that they will have to explain their behaviour. The committee are taking a very hard look at how to increase the rate of return of all wild fish in the system, members who deliberately contravene this policy should expect to face a hostile reception when they appear before them, visitors will not be welcomed back. We're conducting a phone survey to ask you for your views on the quality of access to club waters. We're also asking a more general question to discover what you consider to be the most important issue you'd like the committee to address. Five of us are ringing around 80 members each so don't be surprised when you receive a call from one of us over the next couple of weeks. This is the cheapest way we can gauge opinion from among club members, mail shots have become increasingly pricey and the website and forum don't tend to produce a good response so please give us a better reception than Michael from Bangalore who's inexplicably discovered a fault on your Windows system. Following a long dialogue between the club and the Environment Agency we have finally arrived at a positive outcome which will allow all members to access some of our town fishing. Flood prevention works have had a huge impact on the ability of members to enjoy the fishing rights which we own in central Bridgend, sheer sided concrete and steel banks which tower above the river wipe out all of the natural features which you’d expect to find by the water including the common or garden angler. Construction of the flood scheme was undertaken without the slightest concern for the riverine environment, aesthetics or the practice of angling and the club have borne the brunt of this unfettered sterilisation of the river for far too long. Short of developing abseiling skills or the power of flight club members have had to utilise three very difficult points of access along roughly 1 kilometre of the Ogmore. The design of these three access points currently exclude members with restricted mobility but that unacceptable situation is about to change for the better as OAA have received an assurance from the EA’s Area Manager for South West Wales, Steve Brown, that works will be undertaken at the YMCA and Tesco flood gates providing tailor made access which will give most of us a chance to get down to the river. We hope that members who have been unable to fish the town waters for many years will now be able to try their luck at a new location. Ogmore Angling Association would like to thank the EA for their refreshing response to our concerns and for taking on the expense of the works, we’re beginning to develop a good relationship with the agency and hope that the recognition that our less able members are being excluded from enjoying their fishing due to the insensitive design of flood defences paves the way for future collaborations on improving our right to use the river without having to overcome unreasonable obstacles. The Association has long since endorsed a policy of catch and release for our migratory fish. The recent measures imposed on the neighbouring Rivers Wye, Ely and Taff which ban the taking of migratory fish for the next 10 years is a timely reminder that clubs managing rivers classified by the Environment Agency as ‘at risk’ or ‘probably at risk’ ( i.e. us) must take the necessary measures to preserve their salmon and sewin stocks if they wish to avoid such restrictions. Section 4 – Restrictions on taking fish. 4.6 No more than one Salmon or two Sea Trout (Sewin) to be kept in any seven day period. Please be aware that the Council of the Association have adopted a zero tolerance approach regarding these byelaws. All of the membership will surely agree that we have one of the best volunteer bailiff groups a fishing club could possibly have. Andrew Davies and his team have attended numerous incidents this year but the scale of the problems they face is becoming overwhelming, the enforcement team of the Environment Agency is so underfunded that the presence of their bailiffs on the river bank is regarded as such a rarity that a sighting of one becomes the stuff of legends. Reporting incidents to the so called "Hotline" rarely produces a response as the calls are dealt with as an intelligence gathering exercise and phoning in has, unfortunately, become widely regarded as a waste of time by our members in particular and Welsh anglers in general. As a last resort the club has written to Bridgend MP, Madeleine Moon and the Chief Constable of South Glamorgan, Peter Vaughan to highlight the problem and to begin to work out a way of protecting the club from the thieves who are regularly helping themselves to our amenity without any intention of paying for the privilege. Two days after the letter was sent – and what an amazing coincidence this is – Gerwyn Stoneham was fishing the Ogmore and, to his astonishment, was approached by not two but four EA bailiffs wearing stab vests and carrying truncheons and handcuffs. It was the first time he’d been asked to produce his licence in forty years of fishing the Ogmore, a fact that speaks volumes. We hope the service that OAA receives from the authorities will begin to improve now that a wider dialogue has opened, a regular police presence would be a huge help, bad news travels fast and a few uniforms appearing from time to time may have the requisite laxative effect on the chancers who are taking advantage of the current dearth of a statutary presence along the Og. As for the Hotline, you may think that the service is useless - and I'm afraid that's my opininon of it - please call 0800 807060 and one of the club bailiffs if you do see non members fishing, they’re stealing from us, almost certainly fishing without a licence and they should be stopped. These boys don't fish catch and release, they're taking the fish you pay for with your subs and undermining all of our efforts to provide better fishing for our 403 members. Calls to the Hotline can be made anonymously so there really is no reason for failing to report an incident other than lazinness, do your bit to improve our fishing. We’ll keep you updated with the response we receive from your local MP and the Chief Constable, let’s hope it’s a good one. WEIRS - We've got 'em. Club Chairman Ian Finylas and Conservation Officer Colin Chapman met representatives from the Wild Trout Trust and the Environment Agency last month to examine some of the 50 weirs on club waters with a view to getting rid of them or reducing their impact on migratory fish. Andy Thomas and Mike Blackmore from WTT and Ida Tavner from the EA spent six hours with us listening to our concerns, looking at some of the most problematic weirs and planning a strategy to improve both fish passage and the hydromorphology or shape of the river. The club requested the construction of the weirs many years ago before either we or the River Authority were aware of the problems they cause to both resident and migratory fish, looking back it would have been far better if a number of croys or grouped block stones had been strategically arranged to create a diverse channel to our very heavily modified river but hindsight’s a wonderful thing and now we have to tackle a problem which should never have been created. We’re currently waiting for the report from WTT, it should be with us soon and we’ll share the information we receive from the experts in due course via the website. Another excellently prepared report by Dave Smith analysing the catch return data submitted by OAA members. The benefit which members receive from this record can't be stresed strongly enough, it gives the committee the information to manage the fishery, a record of the health of the river and a secure legal base for defending the club's rights. Catch and release rates remain high for salmon, sewin and brown trout, members voluntarily returned around 85% of their catch, representing what must be one of the best sporting ethics in any British angling club - well done all. Salmon catches dropped considerably from 2010, only 88 were landed which is a return to a more usual cath rate. We'd like to see more of these fish being put back to improve the fishery and bring the catch average up a notch or two. Sewin numbers increased, many shoalies were recorded but as they were unmarked it's impossible to say whether this represents a success for the stocking programme or whether it signifies a natural success. Some doubt remains with regard to the identity of these fish as a high proportion of stocked brown trout retain the Loch Leven characteristics of a strong silver colouration and very sewin-like appearance. These factors will be addressesd in 2013, all stocked brown trout will be marked with two dots and the stocked sewin fin clipped. Brown trout numbers were good with around 3.5 thousand landed last season, a similar number to that of 2009 & 10. This is as good an advert as any club can display, our trout fishing remains excellent. Members are reminded to keep a record of their catches, it is vital information for the club so please keep a tab of your expeditions to the river, even if you've blanked, these are the club's vital statistics. Many thanks to Dave on behalf of the committee, another good job, well done. Atlantic salmon have the capacity to spawn more than once and a project on Norway's River Alta has come up with some interesting information about the value these repeat spawners offer to rivers. In response to a report received from the Wild Trout Trust and with the support of funding from the Environment Agency Wales, Ogmore Angling Association is aiming to undertake improvements to the habitat on two local tributaries, the Nant Ffornwg and the Nant Cynffig. More details to follow. To read the report click on the WTT logo. It's symptomatic of peoples low expectations for the water quality of the Ogmore that raw sewage was discharged at Blackmill for two days before it was reported. Acting on information from a local resident club sec. Wynne Griffiths visited the site of the discharge last Thursday and was appalled to see large volumes of untreated domestic waste pouring into the river. This is a recurrent problem which is not being dealt with adequately. The Ogmore was running very high and very fast last week but the sheer volume of filth entering the river made its presence obvious for hundreds of yards downstream. How many of us were wading through that without knowing it? Here we are in the 21st century and our river is treated as though we're still living in the 19th century , allowing untreated human waste into a river is obviously unacceptable. A significant sewage pollution occurred once again below Blackmill. It's hard to believe that in this day and age Welsh Water cannot sort out these issues. The storm tanks at Blackmill have been malfunctioning on and off for many years, yet this multinational company seems unable or unwilling to solve these problems. Maybe the reason for this is the fact that after each such pollution the Environment Agency swiftly brushes the matter under the carpet instead of prosecuting. You can see from the pictures the volume of sewage pouring into the river which has been discharging for at least two days. This is undoing all of our hard work, it's time Welsh Water heard from our solicitors. Despite the number of anglers worming the river this year due to the high coloured water I've only heard of one eel being landed - it would have been quite impossible to have imagined such a dearth of these once prolific fish twenty years ago. I've added a link (above) to Radio 4's Open Country which discusses the plight of the eel, the reasons for its decline and the measures taken to reestablish their populations. A 25 minute programme, well worth a listen. Not sure how long the programme's available so give it a go now. Top marks to Phil, a true sportsman who caught this beauty last week and returned it to spawn. Well done that man. Not to be outdone OAA chairman, Ian Finylas, caught and released this lovely grilse weighing 7-8 lbs on the fly. It's really good to see all of these fish going back and contributing to the sustainability of the river. Please let us know if you've released a good fish, it helps to encourage the rest of the club to follow your example. REMEMBER: THE RIVER OGMORE IS CATEGORISED AS "AT RISK". Specimen Salmon Returned to the Ogmore - well done Mark Ryan. After a number of discouraging reports relating to members killing large salmon it's gratifying to receive some pictures of a splendid fish being returned to continue its journey to the spawning grounds. This is the biggest fish we've heard of this year and it must be one of the best to be caught by a fly fisherman on the Og for quite some time. The junior members of the Ogmore Angling Association took to the river at Merthyr Mawr recently for their annual competition. The event which took place near the historic Dipping Bridge was eventually won by 13yr old Luke Perriam from Bridgend with a fish of 1lb 1oz narrowly beating the Association's youngest member, 4 year old Ieuan Howells, aged 4, from Pyle. The threatening rain clouds above unfortunately resulted in the barbeque being cancelled so the members were treated to hot dogs cooked on a gas stove! Well done to all the juniors who participated and Wynne, Geraint, Ian and Gerwyn who gave up their aftrnoons to help with the running of the event. FLY TYING CLASSES FOR THE 2012-2013 SEASON. Classes start at 7pm and begin on Monday, 29th October in the Con Club, Bridgend. All ranges of ability welcome from beginners to experts, the classes are open to anyone who'd like to learn or improve their fly tying - including non club members. Having seen the quality of the fly dressing these gentlemen can produce I'd heartily recommend the classes, some very modest, friendly and highly skilled guys attend these evenings offering a splendid opportunity for you to switch off the TV, get out of the house and learn more about a rewarding and enjoyable craft. Sorry to remind you all but we did take a trip to Llys Y Fran. To say the weather was unkind would be an understatement of enormous proportions, in fact it seemed more like an ordeal at times than a summer outing. Lesser mortals might have huddled, in the warmth of the coach , this was the worst summer weather we’d seen for at least a week , gale force winds tore across the Preselis driving a stinging ,nonstop rain before it but OAA tripsters are made of stern stuff, we kept at it till the end and survived to tell the tale – just. Fishing was about as grim as the weather, many blanked, unable to cast far against the gale force winds that had whipped the lake into a fair representation of a mid Atlantic cyclone but further down the reservoir the weather was quieter and the fish were biting. By the time the news had spread up reservoir most of the boys were deep in a near-death torpor and had lost the desire to move, catch a fish or do anything other than survive the day until the weigh in offered a way out at 4pm and so the fish remained unbothered. While many of the OAA members were quietly asking themselves what on earth they were doing on the edge of an elevated reservoir in the middle of a Biblical storm SEACAMS' data collectors were having a less than busy time recording the data for the hook trial. Some were heard to mention their surprise that grown men could endure conditions you wouldn’t let a farmyard animal out in but they diligently kept their station and did a fantastic job recording the catch, such as it was, and interviewing the captors. Many thanks SEACAMS. 1) Phil Peach who, having taken an impromptu swim in the lake, somehow managed to find someone who could lend him a dry pair of underpants – it certainly does all happen on club trips. 2) Mark Ryan who narrowly avoided missing the coach and consequent summary execution after holding up its departure for forty minutes. More of this to follow in September of course, next time we’ll be worming rather than fishing the fly at Llys Y Fran, so, if you haven’t done so already, get your name down as we still have places left at the time of publishing (2nd July ). Remember, these are important days for the club, we're lucky enough to be involved in Britain's first controlled hook trials, the data from these trips will inform future decisions on choosing the most fish-friendly design of hook and help in the conservation of our stocks. Finally a big thank you to reservoir manager John Sampson for all of his help and generosity, sorry the weather didn't allow us to do the fishery justice – we will return. It would be good to get the names of the winners as, true to form, I’ve forgotten them, also if you'd like your name to accompany your picture in the gallery, please email me and I’ll adjust the titles accordingly. The work at Abercynffig has been completed for a couple of months now and the EA have done a cracking job, their contractors have installed safe concrete steps and an easily navigated gate secured by a combination padlock, replacing the previous inaccessable flood barrier. Unfortunately I forgot to mention that the code to the lock is available to OAA members from the club secretary, Wynne Griffiths, so some members have found access as difficult than it was before - blame me! I must admit I've got the memory of a goldfish and haven't had the code on me or "saved to memory" on the occasions that I've fished that area this season and can confirm that it's a bit of a swine getting over the barrier, the solution, offered by our Hon. Treasurer, ever resourceful man of numbers, is to store the code as a contact number - when you get it that is - on your phone until the number finally sinks in. Email Wynne with your club membership number for your code. A quick word of warning, you must replace the padlock and lock it even if you're just popping down to look at the river for a minute, the bridge area is very popular with the local kids and it won't stay there for long if left unsecured. I'm pleased to say a high proportion of the trout I've caught this year have been wild brown trout although around 30 - 40% of them have been stocked fish. I've had two brown trout weighing over two pounds and have heard the reports of a four pound plus fish, all very encouraging signs of river recovering from it's industrial past and bearing up under the pressure of its urban catchment. There are quite a few large unmarked stocked fish coming into our water from stocking outside club waters, feel free to take these, they're a gift - or blight - from above. Most of them have no pectoral fin - see diagram - to speak of, tatty tails, poorly developed fins generally and weigh in at around 1.25 to 2 lbs Gerwyn Stoneham and I have had over a dozen of these fish, they look good when first hooked but close up the tell tale pointers confirm they're non native. As you travel up river the proportion of wild fish rockets and fish like the one shown below, beautifully marked wild brown trout become the quarry. OAA chairman Ian Finylas lip hooked, photographed and returned this one, caught on a float fished worm using one of the free circle hooks the club is trialing. Do give them a go yourself and let us know how you got on. Remember if you do catch a wild trout please release it as soon as possible and if the hook's set deep simply cut the line, the fish will have a far better chance of surviving than one which fces a lengthly operation out of water. Carry forceps or a disgorger and try to unhook the fish without taking it from the river and the river will continue to reward you with jewels like the trout pictured above. What the **** is that? I've beenI've been offered a free training day from the Riverfly Partnership for club members and others to learn about aquatic invertebrates . I'm hoping anyone with an interest in the river will come forward to get skilled up in this fascinating aspect of nature which we can use a means of monitoring the health of our water. If you'd like to express an interest I'll get the ball rolling and organise a venue, date etc. but this does depend on the number of enquiries I receive - no applicants = no course. Fully booked, plenty of spaces available for September however - book now to avoid disappointment. Pick up points : Embassy car park, 6.45 a.m., Sarn Services coach park 7.00 a.m. ish. Tip. Look for a Cymru Coaches vehicle. Bring waders (wading permitted), pliers to debarb, sinking line, fishing tackle in general, drink, food, warm/waterproof clothing, a bag for your fish.....use your common sense in fact. Remember Sarn Services don't allow more than 2 hours parking, you have been warned. Anyone found cheating, e.g. giving fish to friends to claim as theirs to gain a prize, frozen fish merchants, fly swappers, mepps users, worm abusers, lead weight inserters, snaggers, Power Baiters, groundbaiters and masters of the dark arts etc. etc. will be disqualified and required to appear before the committee's firing squad, as will anyone who chooses to make themselves a pain in the neck on the day. A big thank you to the 16 members who turned up on 6th June to tie the flies we'll be using on the hook trial / trip on the 16th . Fly tying evenings recommence in September, young members are particularly welcome to attend, times dates flies etc. to be announced but the venue is, as ever, the Conservative Club in Bridgend. Members are invited to tie the remaining flies - we've finished 350 so far, there're 50 left to go - at the Con Club, next Wednesday at 7pm. It shouldn't take too long - if the circle hooks ever turn up from the supplier that is - so look forward to a relaxed evening. 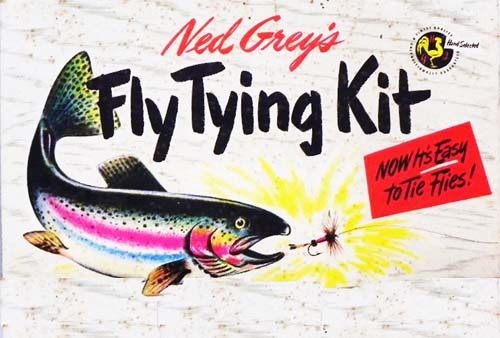 The fly tyers who came along on the 6th were ( in no particular order):- Berwyn Morris, Norman West, Geraint Jones, John Allen, Alan Wright, Paul Mogford, Nigel Haines, Emlyn Williams, Colin Chapman, Harry Carvill, Paul Embley, Tony Morris, Dai Lewis, Ian Finylas, Gerwyn Stoneham, and Dave Smith. Nice one boys! It's a good read and much better presented than the highlights shown below, the layout of which has a strangely disorienting effect. Something for the Jubilee Ma'am? SW WalesFisheries Newsletter Spring 2012 - featuring illegal sturgeon etc. FLY TYERS - WE NEED YOUR HELP!!! 400 flies to knock out before 16th June, aaargh! CF31 1JF on Wednesday 6th June at 7pm to tie the flies for the LLys Y Fran trip. Bring your own tools please, all materials provided - this is your chance to help the club prepare for a great day out. Ogmore Angling Association is delighted to announce a 2012 club outing to Llys Y Fran Reservoir in Pembrokeshire's Preseli Hills, on 16th June. As part of the Full Circle Project OAA, in partnership with SEACAMS, based at Swansea University, has arranged a day out for club members to compare the effectiveness of J hooks against the VMC circle hooks you received, Britain's first trial of circle hooks in a controlled environment. 40 places are available and the club has arranged a cracking package for the first 40 club members to book places - and it won't cost you a penny. Free transport will call at 2 or 3 locations in and around Bridgend to collect you for a day's fly fishing at Llys Y Fran Reservoir. Your day ticket for 6 fish will be provided free of charge and each angler will receive eight flies, also free of charge, for you to use on the day. * How you feel about using them before and after fishing them. *How effective they are at hooking compared to J hooks. * Whether the hooks do what they're designed to do, that is lodge in the scissors. * How you use them - getting used to tightening into a fish rather than striking. If you come along you'll be expected to fish the flies we supply you exclusively and preferably on a sinking line - you can buy a good Shakespeare fast sinking line here for less than a tenner delivered if you don't already own one. You'll be asked to record how many takes you get and how many successful hook-ups you achieve. To spice things up a little there are prizes being offered and thanks to SEACAMS we can offer a tackle voucher, valid at Garry Evans shops of £200.00 to the captor of the heaviest bag, a fishing outfit supplied by OAA for second prize and thanks to the management of the reservoir vouchers to fish again at Llys Y Fran as third prize. If you'd like to participate please contact me, Colin Chapman, via email - web@ogmoreangling.com - and I'll reserve a place. Participants will be entitled to enjoy a second day out in September on exactly the same basis and have the chance of winning an equally good prize. What's the catch - well, other than your fish on the day there isn't one, it's just a brilliant opportunity for you to have a great day out, first come, first served, current OAA members only. Times and pick up points - probably Sarn Services and Embassy car park, leave 7 ish, back 7 ish - to be announced via the website and forum. Ogmore Angling Association would like to thank Dr. Adrian Gleiss for his help in making this happen, nice one Adrian, and VMC for the hooks. I hope that all OAA members have received their free VMC circle hooks through the post by now and had a good chance to look at them. They're different to conventional J hooks as you can see but please don't let that deter you from using them when you fish a worm on the Ogmore this season. Give the hooks a fair go, make your own mind up about their effectiveness and if you like them you can collect some more free of charge from Ewenny Angling by following the simple procedure detailed in your letter*. Please let us know how you get on by completing a brief questionnaire at the end of the season. Later on this season club members will be invited to fish a prestigious stillwater – also free of charge - to participate in Britain's first controlled circle hook trial, details to follow. Keith at Ewenny Angling has kindly offered his premises for a Saturday morning to enable me and Rob Evans, fishery advisor to the EA, to demonstrate best practice in rigging your worming and spinning gear so watch the website for details of this informal workshop. Feel free to drop in and we'll try to answer your questions on using a more fish friendly set up. The river's looking good, there're a few sewin about and the Bank Holiday's nearly here. If you're out and about do give these hooks a try. Remember,this design prevents deep hooking and enables returned fish to spawn successfully. Colin Chapman, OAA Conservation Officer. Eel populations like those of other migratory fish have been in decline over recent years, however eel numbers have diminished far more rapidly and to such an extent that the number of juvenile eels entering our rivers has now dropped to a mere 5% of the numbers recorded twenty years ago. Eels caught while worming now have to be returned so please familiarise yourself with the new byelaws which also govern grayling and coarse fish. While rod anglers have been prohibited from killing the odd eel the elver fishing licence holders are allowed to visit the Ogmore and net as many of the juveniles as they want. This ludicrous situation has been challenged by the committee and we hope to see a byelaw introduced on the Ogmore which will end the exploitation of what's fast becoming an endangered species. Despite the activities of a few selfish elver fishers who seem happy to push the species to extinction for the sake of a few quid, please ensure you act resonsibly by putting these fascinating fish back to help them repopulate our rivers. If they're deep hooked just cut the line, they'll have a much better chance of surviving than if you try to get the hook out, guaranteed. Use circle hooks and it's unlikely that they'll swallow the hook at all. Members are openly invited to attend a training evening/presentation by Environment Agency Wales Enforcement Officers. The purpose of this evening is for our Association Bailiffs, members interested in becoming Bailiffs and interested members to garner useful knowledge and advice regarding illegal activity on our waters. I am sorry to report the death of another member. Mr Thomas Baggott died on Thursday 12th April after a long illness. Thomas was a member of the Association for many years and a very keen fly tyer and fisherman. Originally from Leicester, Thomas moved to Bridgend 35 years ago and is survived by his elderly parents. His funeral will take place at Coychurch Crematorium on Monday 23rd of April at 2.15pm. Unfortunately another of our life members has passed away. I am sorry to report the death of one of our Life Members Mr Austin Sweet who resided at West House Estate, Cefn Glas, Bridgend. Austin was a regular at Association meetings and fished our waters up until a few years ago when he began to suffer from ill health. Austin is survived by two daughters and the Association sends its deepest condolences. The funeral takes place on Friday 13th April, 2.30pm at Coychurch Crematorium. I am sorry to report the death of a valued member, Mr Alan Warren, who sadly passed away on 3rd April after a long illness. Alan, who was 56 and resided in Sarn, was one of our life members and a member of the Association for many years. He was a keen fisherman and a former Association Bailiff but unfortunately Alan was unable to fish our waters over the past couple of years due to his illness. On behalf of the Association I would like to extend our deepest sympathy to his family at this sad time. The funeral takes place at 11am, Monday 16th April, Coychurch Crematorium. On Sunday, April 1st, six committee members and club member Phil managed to fight their way to the river through the piles of horse carcasses and spent several hours clearing a number of trees, shopping trolleys and assorted debris which had completely blocked one of the arches of the Dipping Bridge. We hired a Tirfor winch to pull a particularly large tree from the midst of the blockage and found it extremely useful for pulling stone-filled trolleys from the river bed. We are looking to buy a Tirfor for the club to help with future works, if you have one that's no longer required please let us know. First day of the season 2012, three of our senior members at the Dipping Bridge enjoying the good weather. Left to right Norman West, Jack, and Aneurin Fowler. Over 100 years of fishing the River Ogmore between them. The second clean up of the year will be held on Easter Sunday, 8th April, please support the club and improve your experience of fishing by removing some of endless stream of litter which blights our water. Meet in the Embassy car parkat 9am for breakfast, presumably eggs. Finishes at around 12-ish. "Members of the Environmental Crime Team carried out a targeted patrol on the river Ogmore on the evening of the 29/03/12 after receiving reports of possible offenders fishing above Bridgend town. We encountered no illegal fishing activities from the estuary to Brynmenyn. Towards the end of the operation we encountered several members of the Ogmore AA (including Wyn Griffiths) above Wildmill. They were worried as they had had information suggesting that there were infact offenders in that area. After calling in all the officers who were working on the river that evening no offences were detected. I would be grateful if you could pass on the facts to Wyn that apart from several juveniles, we only encountered one adult angler who wasn't fishing at the time. When checked he had a current rod licence. He went on to say that he didn't have any other permits as he didn't belong to any club. He was advised that most of the Ogmore is privately owned and that he should seek permission from the fishery owner before fishing. Well done boys, better luck next time. Several reports have been received from club members regarding an agressive, threatening group of poachers who have been spinning the river with a complete disregard for the law or club regulations. Our head bailiff, Andrew, was threatened by these thugs earlier in the week so make no mistake about it, these characters are violent criminals and are best left to the police. The gang have Irish accents and are using a maroon estate to transport themselves, a registration number would be a help but exercise caution, don't confront them. Please contact the bailiffs and the police if you have the misfortune of crossing the path of these idiots and stay out of harms way. This looks like a case of drop the dead horse off and do a bit of fishing after! This time it's in the Nant Ffornwg and it's beginning to be a concern to the club. The horse in question has been left festering in the water for around five weeks causing an obviouus threat to public health. The police seem unable to arrest anyone for the multitude of incidents despite a BBC documentary which gave them a very strong lead to the perpetrators. Horses at Merthyr Mawr - any connection ? Seen today, 25th March, over Wildmill, Milvus milvus, the Red Kite, spotted by club sec. Wynne Griffiths, witnessed by me and club chairman I.F. It was unusual to see one of these striking raptors above such an urban landscape and an encouraging sign of their re-establishment in Wales. Less welcome and much more frequently seen was yet another dose of raw sewage for the Ogmore from the outfall at Wildmill, an issue the club highlighted two years ago and on several occasions since. Our Sunday fishing was ruined by the event and although staff from Dwr Cymru arrived promptly they did nothing but acknowledge that there was indeed a problem. We hope to make progress on this matter in the near future. I asked a few people how many weirs they thought there were along the river, most of the answers were between 15 and 20. There are in fact 45 weirs from the A48 to Blackmill, a staggering number and, of course a huge problem for migratory fish. Having measured the linear distance between the weir below Blackmill and the A48 it appears we have 45 weirs in 4.5 miles or an average of 10 weirs per mile which I presume is some sort of record. Check the map out and see whether I've missed any. Dŵr Cymru / Welsh Water are becoming proactive about their sewage pollution incidents and are beginning to engage with stakeholders this year. This has got to be good for the river and we hope to engage in a constructve dialogue aimed at reducing pollution incidents in the Ogmore catchment. Please be aware of a new hotline number to report sewage pollution (see above). SFITY - a romcom for the Mrs. with a side dish of salmon fishing - worth a look? The Wye Salmon Association have got in touch to publicise their courses for juniors which enable youngsters to become acquainted with the gentle art during the Easter and summer holidays. Courses are priced at £10.00 per child and are very well structured offering a nice day out for your son, daughter or grandchild on the banks of the Wye with a professional and fully vetted instructor. The first clean up of the year will be held on Sunday 18th March, please support the club in this work and improve your experience of fishing by removing some of endless stream of litter which blights our water. Meet in the Ewenny Pottery Cafe, CF35 5AP, map, at 9am for breakfast, begin at Merthyr Mawr Swing Bridge area proceeding up to the Dipping Bridge. Finishes at around 12ish. Another very poor response to appeals for help with improving the river. On the day just 1 club member and 6 committee members turned out. Found, one dead horse, at the Dipping Bridge on 10th March. If this is your dead horse please contact Wynne, club secretary, via the website before he flogs it. Following representations from the OAA work will begin over the next few weeks to improve access to the river hitherto blocked by the flood gate at Abercynffig. The gate will be removed during the fishing season except for periods when flooding is a threat, furthermore concrete steps with a handrail will be constructed to improve access to the water at that point. The work is being undertaken by contractors for the Environment Agency at no cost to the club. The two gates in Bridgend are still causing members a great deal of difficulty - I find them a considerable obstacle, particularly at Tesco car park where they have made access to the river positively dangerous. There is progress on this front too, negotiations to install safe access are underway for both gates and the committee hope it will be in place before too long. The trout came from the Drill Hall on a worm, sadly it swallowed the hook and was bleeding badly so it went to meet its maker. The capture and weigh in was witnessed by Dave Smith and Ian Oxley. Well done Ger, it's all downhill now! Here's one of the fish from a batch of 400 stocked in the river during February. This one didn't really need a blue dot to identify it, the deformed fins and gill plate are immediate signs that it's most definitely not a wild one - hardly the finest example of a hatchery reared fish. The fish appears to have died following damage from a fish eating bird but it serves a purpose by exhibiting the blue dot which you now have to look out for between the pectoral fins. Remember, please record on the catch return whether the fish you caught are marked or not. March - Large Dark Olive,this specimen hatched in the centre of Bridgend. Catch returns for 2010 are now available for inspection due to the stirling work of club member and former vice chairman Mr. David Smith, many thanks Dave. Commendable numbers of sea trout were caught and released in the 2010 season, OAA members caught 433 sewin and returned 368 of them, a return rate of 85%, a remarkable proportion of the total catch and all achieved without a mandatory order to do so. Club members should be extremely proud of this record as it appears that the message of exercising restraint as a way to improve the fishery has been very well received on the Ogmore. 2010's salmon catch was equally reassuring, 139 fish were landed, 104 returned, a release rate of 75%, another example of an enviable level of environmental awareness amongst our anglers, well done to all concerned and thanks for taking the time to complete the catch return form. The brown trout catch was good despite an unusually dry spring, 3,554 landed, 2,777 released, a release rate of 78%. 1,600 brown trout were stocked. Thanks to the work undertaken by Dave we have data for catch returns going back 10 years. All of this information is contained in the following documents. I hope you find the results interesting, our first marked fish have already been stocked this season so in future we'll be able to see how the stockies contribute to the catch. The Analysis and Reporting Team at the EA have kindly sent us a report on their surveys of juvenile fish in the South West Wales area over the last ten years. It's raised some concern as juvenile trout numbers in the Ogmore appear to be steadily decreasing. The factors causing the decline remain to be seen but whatever the problem is it needs to be addressed and the sooner the better. Figures relating to the survey locations were also received, you'll need MS Excel for this, it doesn't convert to a PDF too well. "In addition I enclose some survey data that is collected in a different way from previous data I have sent you and cannot be assigned a fisheries clasification (A-F). This method is known as five minute riffle sampling (or CPUE = catch per unit effort) and is predominantly used on sections of river that are wider than 10 metres. Although we can't get a fish density and grade, we can get the numbers of fish recorded in a minute. This gives us a good idea as to the success of salmonid spawning at the more challenging sites. In the attached spreadsheet there is a total count for each site, which is broken down into fry and parr for each salmonid species (also shown). Hence fry and parr number per minute for each species can be added together to give the total count. " We're very grateful for the trouble taken by EAW to furnish us with this detailed information. Ogmore Angling Association is making some important changes to the stocking policy in 2012. All stocked brown trout will henceforth be marked with one small blue spot on their underside to indicate that it is not a wild fish. Members are encouraged to return unmarked fish as they are likely to be wild and as such will spawn successfully and contribute to the regeneration of the fishery. This is not a compulsory measure but please consider that having the means to identify wild fish and electing to return them will have very positive benefits for the future of the fishery. It is thought that fertile stock fish are poorly adapted to spawning, survival in the wild and overwintering. Stock fish can of course also be returned if you wish, this is a matter of personal choice. The 2012 catch return orm has been modified to differentiate between stocked and wild fish and also to determine whether the fish was returned or not. Please keep a note of your catches and fill in your catch return as accurately as possible. The data that can be collected from this initiative is extremely important and will help formulate and improve our stocking policy for the future. Stocking is always a contentious issue amongst members and there are many differing opinions as to what the levels should be. This initiative will help us understand more fully what is happening on the Ogmore as opposed to studies that have been done on other rivers that may or may not be relevant. I encourage you to fully embrace this initiative, if we can make decisions about our river based on good data and facts rather than hearsay, argument and “gut feeling” then we will be better placed to preserve, enhance and improve our river and the quality of our fishing. The committee would like to pay tribute to Adrian for the very significant contribution he has made to the Association for in excess of ten years as a director of the club. Initially as head bailiff he was responsible for organising, developing and training a highly effective team of bailiffs that became extremely effective in the protection of our fishery. These initiatives and principles are very much still in place today and form the basis of the current bailiff team efforts led by head bailiff Mr Andrew Davies. Adrian also served as Membership Secretary for a period. This is one of the most demanding and time consuming positions on the council and again he took on his responsibilities with professionalism and vigour. We are very grateful and pleased that Adrian has agreed to remain as a director of the company, in the role of a special advisor. His depth of knowledge and experience will continue to benefit the association in the years to come. We wish Adrian well in his semi retirement from front line duties and would like to thank him for the many years service and dedication that he has freely given to the Association and wish him all the very best for the future. Following the AGM it was apparent that the topic of stocking the river is one that provokes a great deal of interest, some believe stocking more fish will create better fishing, some hold the "more is less" point of view. Whichever position you occupy some legislation is coming your way which will determine the kind of fish which the club is allowed to stock. Fertile (Diploid) hatchery reared trout will no longer be allowed to be stocked unless they originate from the Ogmore's indigenous wild fish. Rearing trout from wild stock is prohibitively expensive and difficult, so from 2015 we have to stock infertile (Triploid) trout. As the OAA secretary pointed out in the AGM we should already be reducing the level of stocked diploid trout to 50% of the total stocking quota. If our geographical region fails to comply with this recommendation the ban on stocking fertile fish will come into force next season. This measure is designed to protect the genetic integrity of the Ogmore's wild fish population which could be damaged by introducing fertile fish which may have a genetic structure that's incompatible with the particular environment of the river which native fish have adjusted to in the thousands of years since the last Ice Age melted away. Having seen pictures of the industrial heritage of the Ogmore catchment you might well wonder whether any trout could have survived the pollution which virtually killed the river but the species is robust enough to have survived in the small tributaries that were able to escape the poisonous effects of that era and to recolonise the river as water quality began to improve, a process which is not complete by any means. Many questions are raised by the new policy so the Environment Agency have created an explanatory document which sets out their case for the strategy and answers questions raised in the consultation process that preceded it. And if you'd like to watch a video which explains the intricacies of trout genetics this page from the Wild Trout Trust web site provides a lot of information. Following on from the item "Mystery of the damaged schoolies " from last years News OAA committee member Mark Ryan has submitted five more photographs of damaged fish caught from the River Ogmore last year. Mark's photographs, taken on his mobile phone, show just a fraction of the fish that have been similarly damaged this season, how many have been killed is anyone's guess. The Environment Agency has circulated the photographs to a number of experts in the field and the damage is not regarded as caused by netting which tends to mark the head and gills. The damage is probably caused by high speed trawling. A vessel operating in the area has historic rights, otherwise known as grandfathers rights, to trawl inshore around and between the estuaries of the Ogmore and neighbouring rivers. It is entitled to trawl and does trawl within 100 metres of the beach. The areas where it allowed to operate are areas closed to other fishing vessels, byelaws prevent fishing in these areas as a way of protecting migratory fish stocks. Migratory fish from a number of rivers in England and Wales use the Severn estuary as a migratory route to return to their spawning grounds. Trawling in these shallow waters catches salmon and sewin , they will be discarded, returned to the sea dead as a by catch which is obviously a phenomenally bad thing. At the same time anglers and conservationists are attempting to improve survival rates for these endangered fish. Anglers on the Rivers Taff, Ely and Wye are being consulted on new byelaws proposed by the Environment Agency Wales which will make it an offence to retain any salmon or sewin caught from these rivers, the River Usk may well have the same legislation imposed on it. The Envionment Agency has spent literally millions of pounds on the River Taff to reinstate its run of salmon and sewin, habitat projects along adjacent rivers have also received milions of pounds of government funding to protect and augment populations of these species. Angling tourism attracts many visitors to the region bringing in much needed benefits to the local economy, wildlife such as otters kingfishers and herons all depend on the return of thse valuable fish to their rivers historic spawning grounds. Meanwhile historic fishing rights enable a vessel to destroy and discard the very fish which so much public money has been invested in, it does not make sense. Ogmore Angling Association has asked the Environment Agency to take measures to prevent this unsustainable and damaging manner of inshore fishing, we'll publish their response but historic fishing rights make it difficult to change the situation. Meanwhile you can can make a very big difference by responding to a consultation document which is asking members of the public to express their opinion on the question of whether to allow the owners of historic fishing rights to continue to operate as described above or whether to remove that right. Please take a little time to make a change which could radically improve your sport and definitely improve the populations of salmon and sewin in the rivers which contribute to the Severn estuary. I'm afraid you'll have to hurry, the consultation ends on 2nd February 2012. Annual General Meeting of the Ogmore Angling Association Ltd. to be held on Thursday 2nd February 2012 - 7.30pm at the Heronston Hotel, Ewenny Road, Bridgend, CF35 5AW. The annual general meeting of the Association will be held at the above address on the date and at the time specified. Any other business (at the Chairman’s discretion). Any member wishing to stand for the election of council member, must apply in writing, stating his/her willingness to apply. This application must be received by the Association Secretary at the above address, not less that seven, or more that twenty-one days before the date of the AGM. Please note that a letter of proposal from a fully paid adult member must accompany any person’s application for council membership. Here are the river levels for 2011, the second warmest year on record. The exceptionally warm spring which was largely responsible for putting 2011 in the record books is reflected by the unusually low water levels shown in March, April and May. Floods were few and far between through the year and anglers experienced the famine aspect of the increasingly normal feast or famine pattern of river levels - in fact it's getting hard to remember what a normal season used to be like. Hoping for a more settled climate in 2012 and health, wealth and happiness to you all.